with Mobile Logistics from Amtech. Built specifically for packaging truck drivers. In the past, while waiting to be unloaded, a driver’s time has been under-utilized. to bring your office straight to your customer’s site. Speed up cash flow and eliminate paper. Mobile Logistics from Amtech extends the inventory and delivery functions within EnCore to your truck drivers using a windows mobile. The tools eliminate paper including packing slips and bills of lading by capturing electronic signatures and transmitting instant proof of delivery to automatically invoice customers. 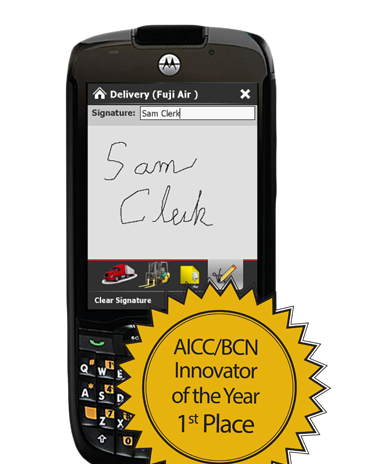 Built-in electronic signature capture provides sign and drive functionality to automatically transmit proof of delivery that initiates invoicing to the customer. Pre-programmed navigation maps out the entire day of deliveries, and provides management with real-time location insight to truck and driver location. Capture real-time information on dock, wait and unload times and analyze in the management console to create powerful reports by customer and driver. 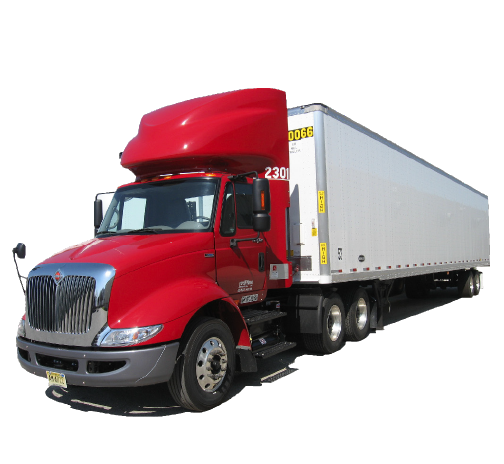 Perform trailer and truck inspections right on the mobile device with integrated voice and text notes for automatic creation of Department of Transportation reports. With built in bar code scanner, drivers can help to manage consignment inventories by taking physical inventory while on site and immediately replenish. 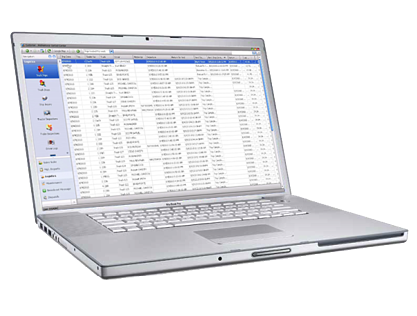 Key documents including bills of lading and packaging slips are automatically generated and transmitted electronically to accounting and customer service. Control shipping costs like never before. and better service your customers with realtime transmission of delivery information. A powerful console for delivery managers to track and measure driver performance. Increased business competition is forcing sales representatives to react to customer opportunities on a more timely basis. By equipping your sales team with Amtech's powerful Mobile Sales application, they have the information they need in the palm of their hands and can rely less on internal customer service for account support. Speed up cash flow and eliminate paper with Mobile Logistics from Amtech.